At Bill’s Auto Glass Repair, we offer only the best Mesquite auto glass via some of the most talented glass repair specialists in Mesquite, Texas. No matter what make, type and model your vehicle belongs to, we can easily repair as well as replace its windshield, windows, back glass, and mirrors. We source our OEM glass straight from the manufacturers and use urethane for bonding it to the vehicles which ensure that every job is final and lasts as long as possible. damages to your vehicle’s glasswork. When you have us repair a window or a windshield on your vehicle, we guarantee the quality of our work and also offer you a lifetime warranty against workmanship or material defects. In short, we are the best auto glass repair service in Mesquite! Stuck with a broken windshield/window/back glass? Then it’s time to call the experts for Mesquite auto glass! We know just how to replace a broken or a badly cracked piece of glass on any vehicle. As we adhere to high-quality standards, we only use OEM glasses which are sourced from some of the most reputed manufacturers such as PPG, Carlite and LOF. All of these manufacturers also provide glass to many automobile companies which is why we can not only pair your vehicle with the right kind of glass but also keep the costs down by not dealing with middlemen. 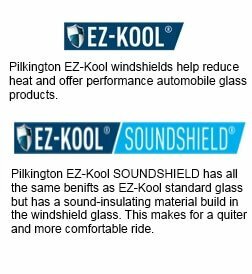 Rest assured, you will not be able to tell the difference between your original piece of auto glass and the one we install for you. In fact, when your vehicle leaves our service center, it will look and feel as good as new! 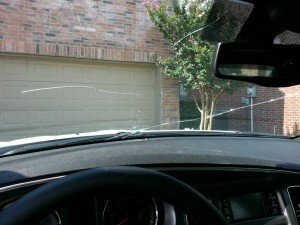 Interested in New Windshield Glass? Get your FREE Quote! If you have a vehicle with a damaged windshield or need our Mesquite auto glass service, you do not have time to wait. Simply fill out and submit the form below and we will get back to you ASAP. We also provide service to our neighbors in Rowlett, Rockwall, Garland, and Dallas, TX.